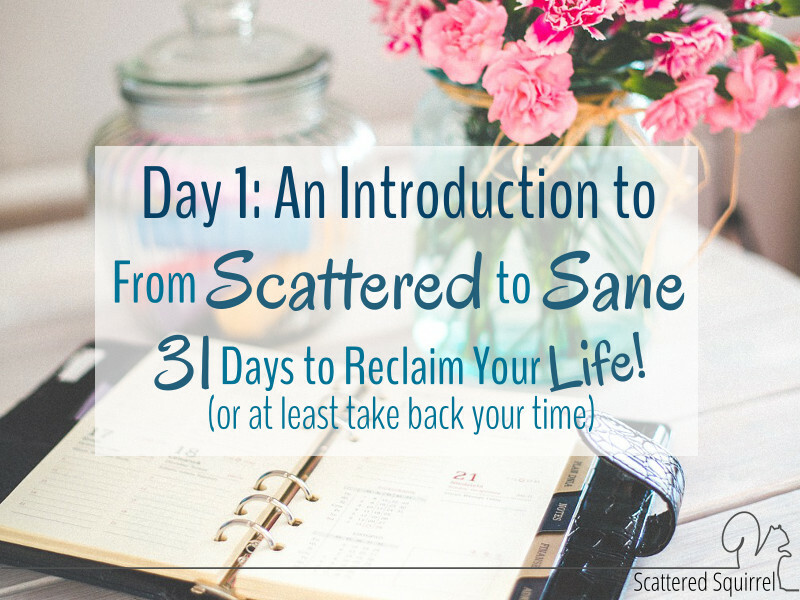 From Scattered to Sane: 31 Days to Reclaim Your Life! It 4pm and I’m standing in front of the freezer wondering if there is anything that I can quickly defrost for dinner tonight. Behind me, last night’s dishes mock me from the sink where I set them to soak. This is beginning to feel like the new normal; worse, I think this is becoming routine. You’re not alone. Whether it’s forgetting to pull out something for dinner, or staying up all night getting caught up on work, we all, at some point in our lives, find ourselves in a situation we know could have been avoided if only we’d been more prepared. Planned better. Took a moment to think ahead. For some of us that feels like the norm of our lives. We struggle with finding the time to get everything we need to do done and agonize over it when we can’t. It’s not that we don’t care and it’s certainly not because we’re lazy. It just simply is! But you know what? No matter if this is what your everyday life looks like or you’ve just found yourself in one of those periods of life where chaos seems to reign, there is hope and I promise you, there is a way to the other side. I’m really excited about this years 31 Days series. It’s a subject near and dear to my heart, and something I struggle with every, single day. Time management is not something that comes easily to me, though as time goes by it gets a little better. I’ve created more than a few systems and schedules to help me on my journey (many of the printables I’ve shared are a resulted of new ideas tried as old ones no longer work) and I’m dedicating the ENTIRE month of October to sharing my story and the tips and tools that have worked well for me. Today is only the beginning and I wanted to give you a little glimpse at what to expect. Throughout the next 31 days I’m going to walk you through the foundation of the system I use to help manage my time. Though some of my systems have changed as my life has moved in different directions, this foundation has remained the same. 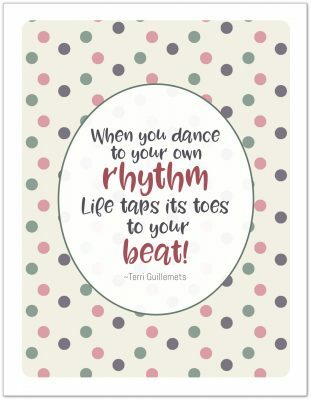 It is what helps me keep myself grounded and sees me through to the other side when we need to make transitions in life. I wish I could tell you this is a magic fix-all formula that will solve all your time management woes as soon you as read it. I wish that more than more than anything else. But just like I refuse to stage photos for the ‘after’ images of my organizing projects, I also refuse to stage this series as the next miracle cure for all time management troubles. It’s going to take work. It’s going to take time. It’s going to take one little step followed by another and then another. It’s going to be worth it! That I can promise you. Building the right foundation from which all other routines will grow from, is going to make creating and maintaining those routines so much easier. My goals are to share and motivate, and I truly hope, at the end of it all (even if my system won’t work for you) that I’ve inspired you to start building your own system. That something I’ve shared or talked about will help you on your own journey. Above all else, I hope you come to the end of this series feeling confident in yourself and knowing that there are many of us out here who feel the same way you do. I’m walking this path right along side you – you are NOT alone. Though it may feel like it, please know that there is at least one person out here who understands the struggles. More importantly, someone who understands that gut wrenching, heart breaking, feeling of wondering ‘what’s wrong with me?’ And I have the answer – NOTHING is wrong with any of us. We’re just wired differently and maybe we need to think outside the normal box to find our own solutions. That’s ok! We’ll do it together. I hope you’ll stop by tomorrow and get ready to dive on in with me. 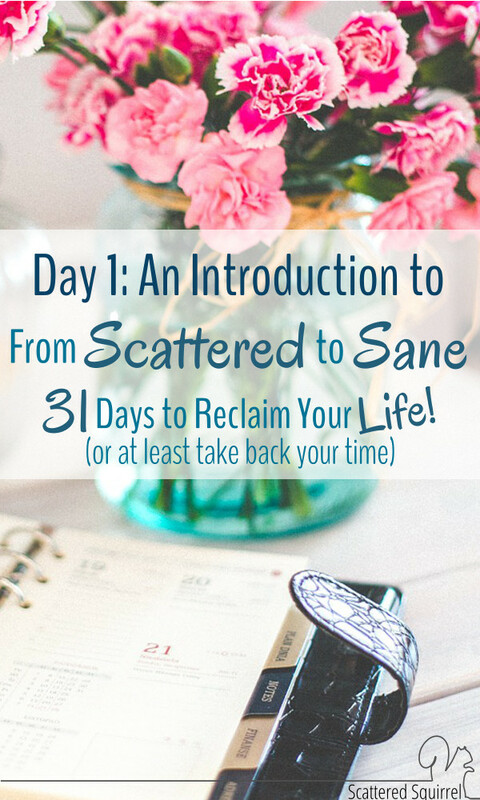 This post is part of the series From Scattered to Sane: 31 Days to Reclaim Your Life (or at least take back your time). You can find all the posts from this series on the From Scattered to Sane page. As each new one comes out, I’ll link it up there. I’ll also be sharing each post on all our social media channels, you can follow along on Google+, Twitter, Facebook, Instagram, and Pinterest! I hope you have as much fun following along as I’m having sharing this all with you! I looooove this and I neeeeed this – so thank you for doing it! Those internal battles can be a real beast can’t they? I hope you find something to help you in the 31 days series. I jump all over to, I get bored and then I get creative and then I have a mess. lol Don’t stress it too much. I tried to keep it as simple and easy as I could. Sometimes the smallest changes bring about the biggest results. What a wonderful blog Alli, congratulations! You have bring hope to my hectic life. I love your printable, they are exactly what I was looking for. Your designing skills are marvelous. Thank you for sharing them online. Do you have a way to have these emailed once a day now? Or was it just when you were originally writing them? I was reading your journal planning series and decided to look through your old posts, I am so glad I did. I am trying desperately to get organized before the start of the new school year because last year I was so overwhelmed, over scheduled, & exhausted. Despite reading many articles and printing off calendars, I just couldn’t get organized. Thankfully, I started reading this series. I actually feel encouraged and empowered. Thank so much. I’m thrilled that you’re finding value in this series. It can be really tough when we feel overwhelmed by all that is going on in our lives. I hope that some of the strategies that worked for me will work for you too, or help you find the system that best fits your needs. I wish you all the best on your journey to carve out some calm in the chaos we call life. I’m always here if you have any questions. I stumbled across your site about a month ago and have worked my way through your 31 day From Scattered to Sane series. I feel so much more organized, relaxed and in control of my day (and home). Thank you so much for sharing your ideas and resources. Have a wonderful day! I stumbled across your site, I can’t remember where… and it speaks to me, whispering in my ear that maybe there’s hope. Between health issues, juggling life/kids/school activities etc etc, I feel like I’m drowning. I have read ( partway) many books on decluttering, home organization and I can’t find one that works for me. I have no idea how to manage a home successfully. I LOVE your printables. Once upon a time, before marriage and family, I LIVED by my daytimer. I don’t know when I fell off the wagon and allowed my life and home to spiral out of control. I’m hoping by digging into your “Scattered to Sane” that I can begin to get a hold of a new system. One that I can teach my little girls because I see my bad habits spreading to them. I am SO thankful I came across your site and that you are offering this blog as FREE and not charging for it as other Get Help seminars I’ve listened to. You are not alone Andrea. It’s hard to juggle all the balls and wear all tha hats and feel like we’re succeeding. It can feel kind of lonely, like we’re the only ones who feel that way, but there are more of out there than one could guess. I hope that the From Scattered to Sane series helps you out. If you have any questions, feel free to get in touch. I’m always happy to try to help.